What is Chewing Holes in My Carpet? 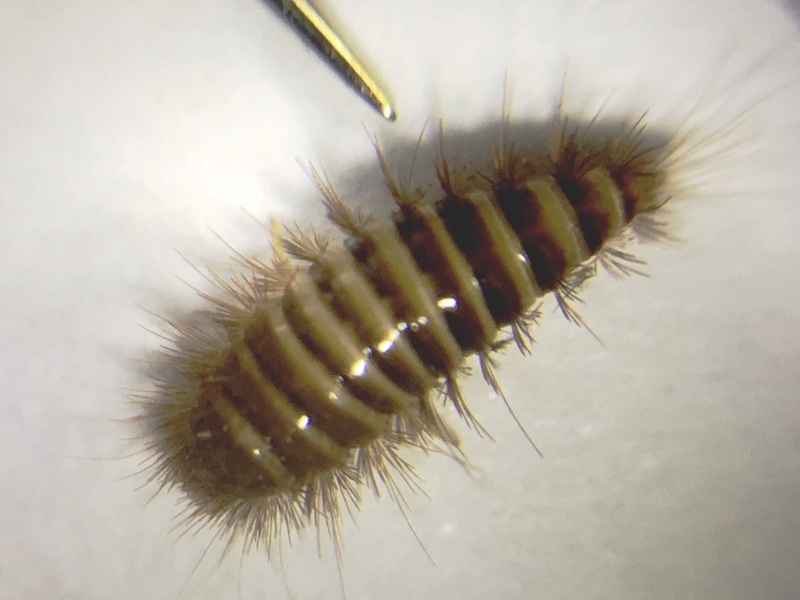 Carpet beetle that belong to the family of beetles known as dermestids are pests that feed on natural fibres such as wool carpet fibre, clothing, blankets, furs and furniture. They are also commonly found in stored musical instruments. How Did They Arrive in My Home? Adult carpet beetle are pollen grazers, feeding on plants and flowers that produce abundant pollen. During the summer months they are extremely common in most of our gardens and enter our homes through open windows and entrances. Also, these pests can inadvertantly arrive inside on cut flowers. Damage occurs in the larvel stage of the carpet beetle lift cycle. Adults often lay eggs in closets, under furniture or baseboards and in air ducts. Once hatched and until they pupate into adults the larvae hide and feed on organic material such as wool, silk, fibre, leather, fur and hairbrushes with natural bristles. In Dunedin most call-outs for this pest we attend the larvae have already chewed holes in the carpet and have only been discovered by mistake under heavy furniture and dark corners of the room. If you have a carpet beetle infestation in the Dunedin or Mosgiel area, feel free to give us a call and we will arrange a technician to come on site and provide professional advice and treatment.